For the last fifteen years, I have used South Florida as a base to explore the Caribbean, in particular, Cuba, and much of South America. However, my base before Florida was New England. Yes, I called Boston home (Beantown) for quite some time. In fact, I still have family and friends in Massachusetts and New. 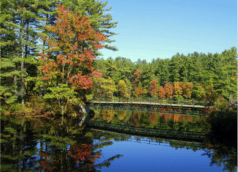 Already packed and heading on yet another adventure, I wanted to recap a quick tour of New England I did recently through Massachusetts, New Hampshire, Maine, Vermont, Connecticut, & Rhode Island. I might add, that this was done in an ambitious six days. In the quickie video below, you will see highlights of Boston, hiking. 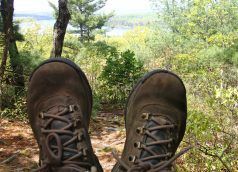 When you are debating which shoes to bring for a short, yet varied activity stay, are the heels or the hiking boots left out of the bag? In my last trip to New England, I opted to take the heels. Boy, I later regretted my selection. 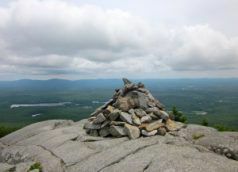 Although prepared with athletic shoes, Mount Monadnock, in southern.